Region Norrbotten provides healthcare and dental care and supports research and education. The hospitals provide the next level of care when district healthcare centres lack the necessary expertise or technical resources. The region has 5 hospitals, 30 primary care centers (+ 4 privately held) and 36 dental care centers. In case of the need for highly specialised medical care the region collaborates with other hospitals throughout Sweden. The healthcare for frail and elderly people living at home or other institutions is provided by licensed healthcare professionals who are employed by the municipalities, or by personnel with delegation. Healthcare provided at home includes interventions, rehabilitation and nursing. The municipalities in the region also have responsibility for the citizens’ social welfare and care. Prevention and public health are also central in the region and are the responsibility of the organisations such as athletic associations, study organisations, schools and local authorities. The Region Norrbotten has worked towards integrated care during the last decades. An integrated care model has been developed in Sweden with the aim of linking primary, hospital and community care based on the local agreements between providers. A common, online system to allow exchange of healthcare information and support integration has been implemented. A typical chain of care includes screening elements in a primary care centre, treatment plans developed in specialist centres and rehabilitation provided by healthcare providers, employed by the municipalities. Contractual agreements and alignment of incentives that enable efficient use of resources are distinctive features of the Swedish model. 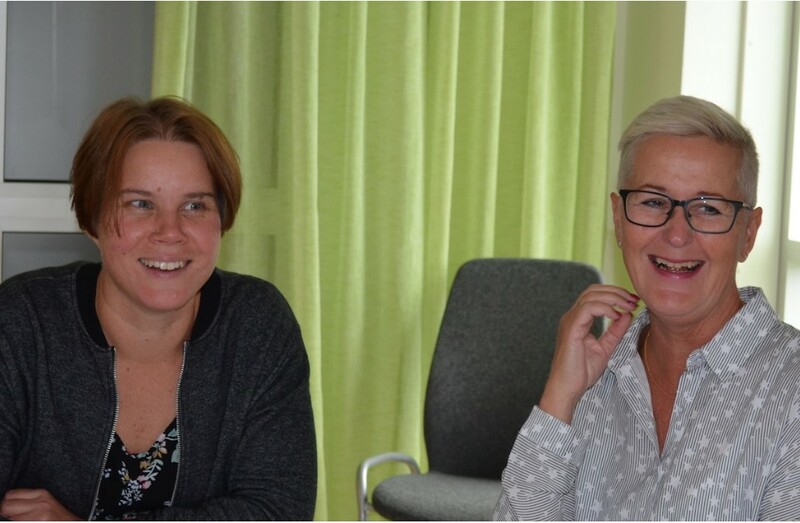 The local self-assessment team consisted of stakeholders with a diversity of profiles and unique knowledge about integrated care in the Region Norrbotten. This included assistant professor, strategic officers, business developer, IT-strategic officer, director of primary care and registered nurse. All stakeholders were invited to complete the online self-assessment survey to provide their individual perceptions on the maturity of integrated care in the Region Norrbotten. 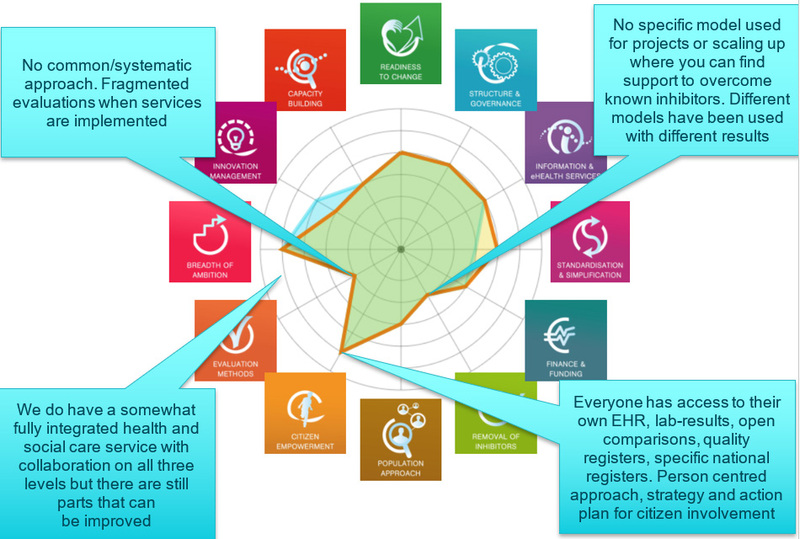 The outcomes of the individual self-assessments illustrate the diversity of the stakeholders’ perspectives on the strengths and weakness of the healthcare system in Region Norrbotten for integrated care. The outcomes of the self-assessment surveys provided the basis for the discussion of local stakeholders with an objective to reach the consensus on the current state of the maturity of integrated care in the Region Norrbotten. The spider diagram below illustrates the most challenging areas of reaching the consensus among the local stakeholders that are namely the dimensions of the Breadth of Ambition and Readiness to Change. In contrast, there is a relatively common perception of the progress of the Region Norrbotten in the area of Citizen Empowerment. A good way to get an overview of “where we are” – a lot of our suspicions got confirmed and we can present the results as something very objective with a support of the Tool. It is an objective way to present our strengths and weakness to our management and local policy-makers. The SCIROCCO tool helps you reflect and the results provide a good basis for structured discussions on “where we want to be” – what is our aim and ambition? The SCIROCCO tool provides answers for further analysis – the results on their own merely provide a basis for where one can start to go into further analysis and from there (hopefully) move into creating more specific action plans.